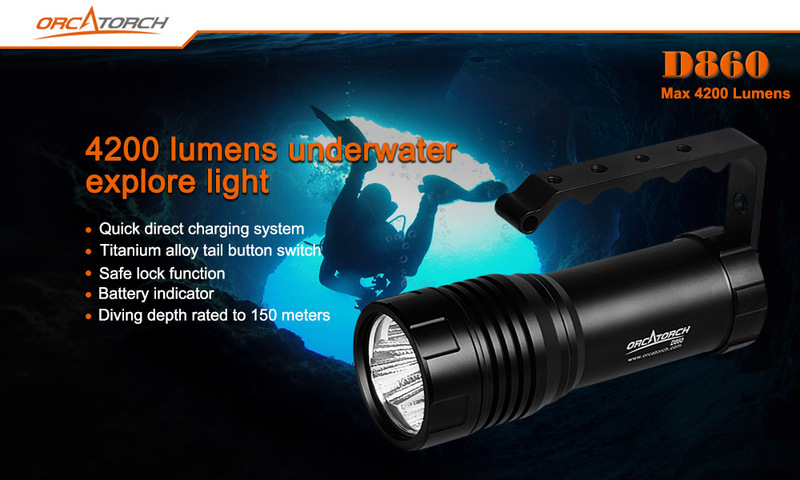 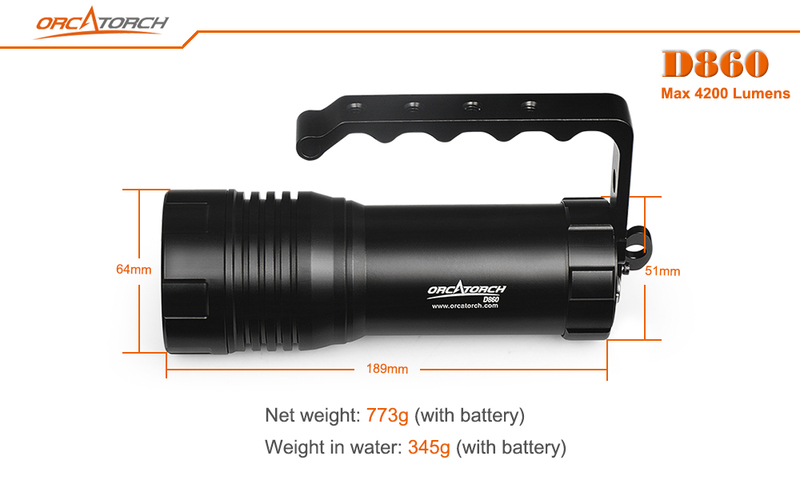 THE ORCATORCH D860 IS A HIGH PERFORMANCE DIVE LIGHT WITH DIRECT CHARGING. 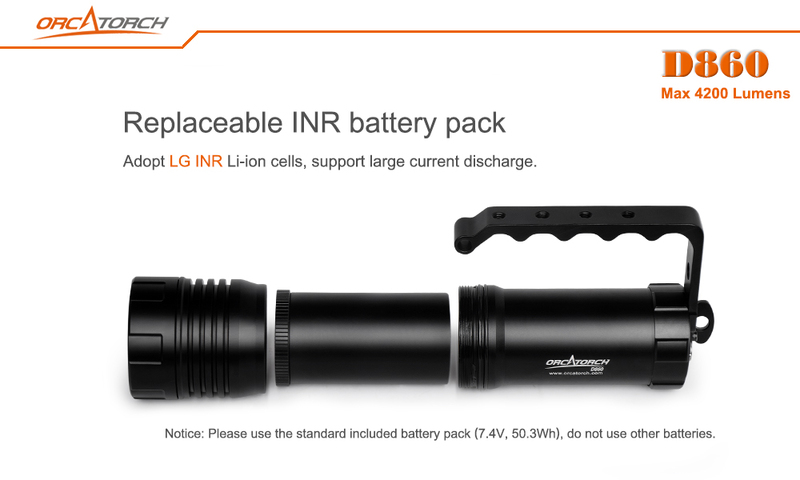 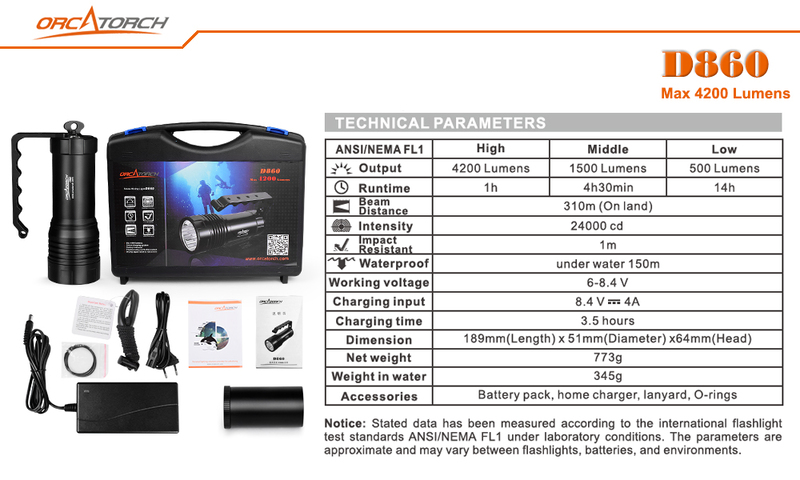 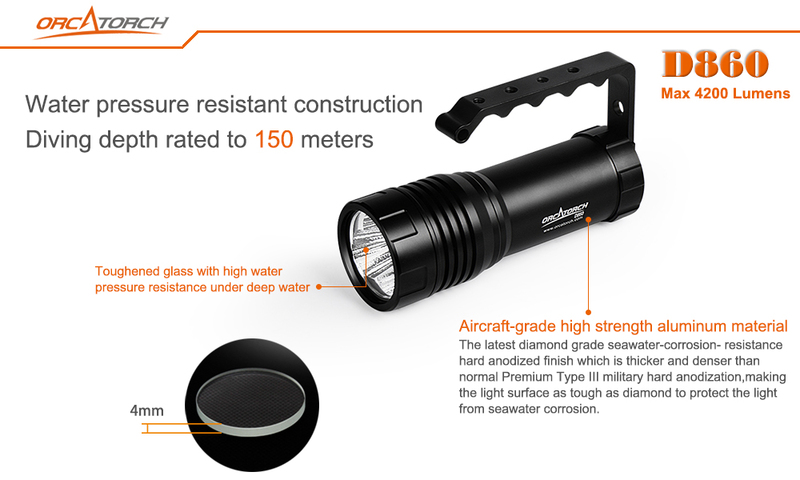 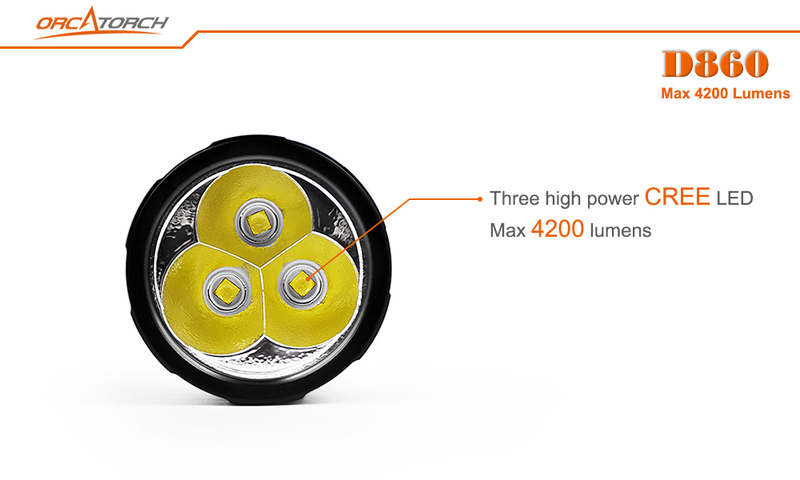 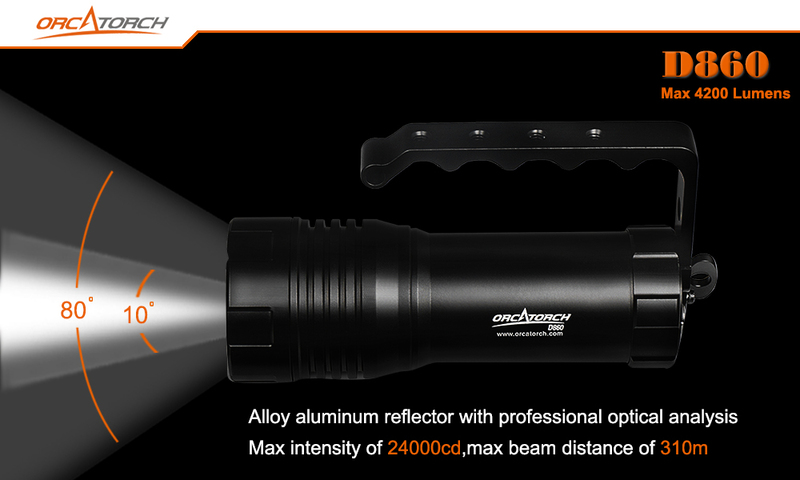 POWERED BY THREE CREE LEDS, IT CAN REACH A MAXIMUM 4200 LUMENS. 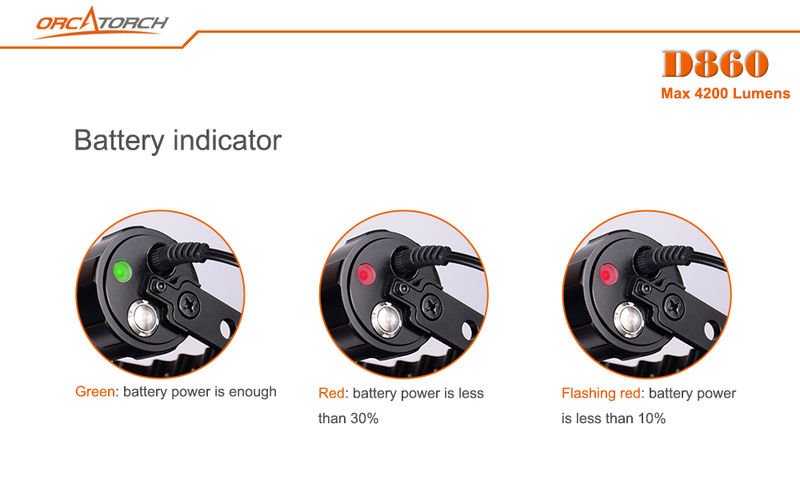 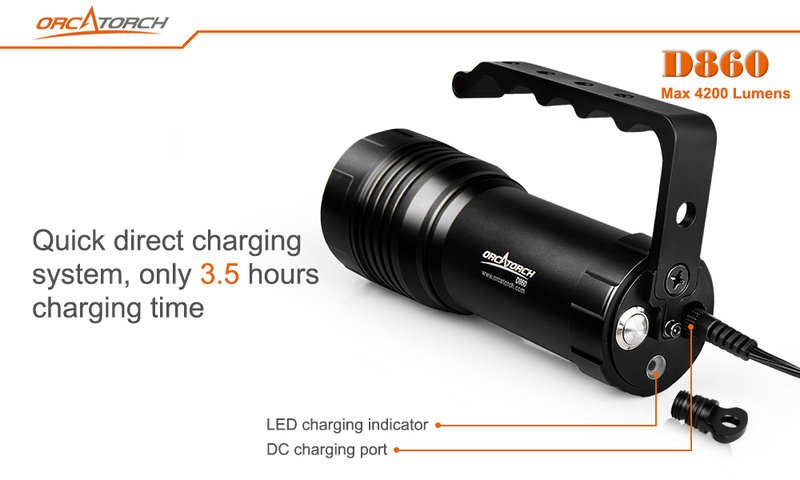 With the direct charging function, the light can be charged without taking out the battery pack and the battery indicator shows remaining battery levels. 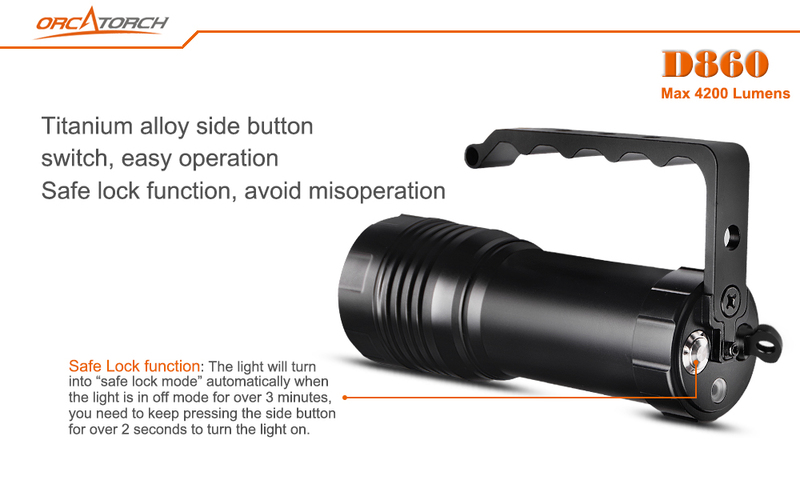 The uniquely designed titanium alloy tail button, with locking function, perfectly avoid accidental use. 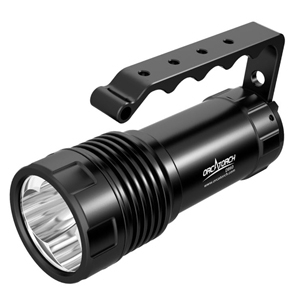 What’s more, the handle with special holes allows the light to be attached to various devices freely.